I know, I know, I've heard it, too: if you see a wide range of colors on your plate, you can rest assured that you're getting a healthy assortment of vitamins and minerals. Nonetheless, this monochromatic dinner that I prepared recently for a quick Saturday night meal ended up providing a nice range of delicious nutrients and vitamins. It was served with (yellow) cornbread. 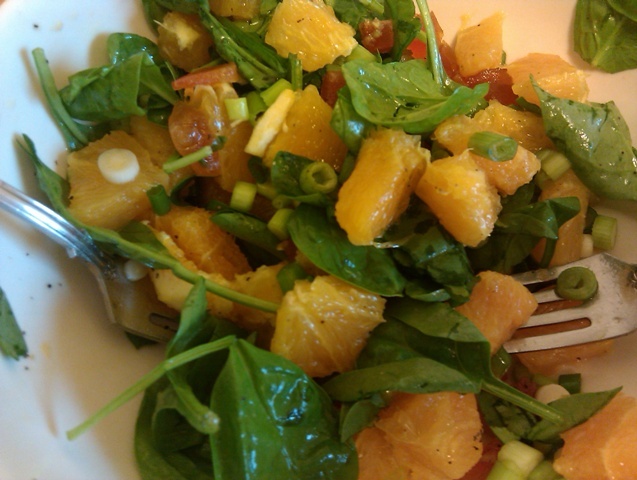 Peel and chop oranges and mix gently with spinach, papaya, and green onions. Drizzle lightly with honey and oil. Sprinkle with pepper to taste. Heat oil in a large soup pot. Add onions and cook until tender. 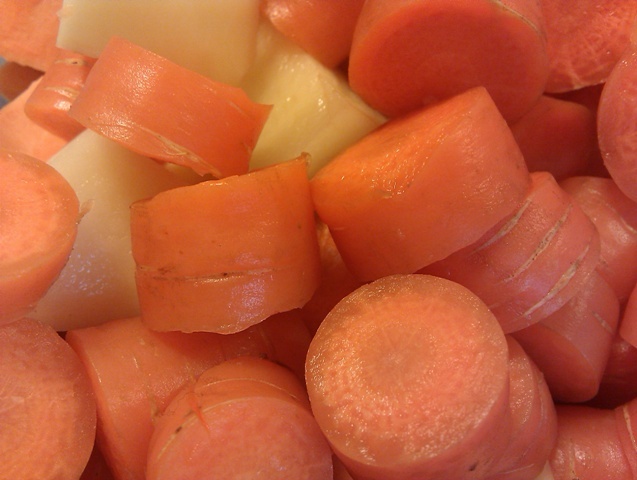 Add potatoes and carrots and cook for 2-3 minutes, stirring frequently. Add broth. Bring to boil then reduce heat and simmer 15-20 minutes until all vegetables are very tender. Puree in a blender. Add Italian seasonings and salt to taste.